You don't have to be reeling 'em in in Columbia's Bora Bora to enjoy the benefits of this ultra-breathable Omni-Shade hat - but no complaints if you are, right? 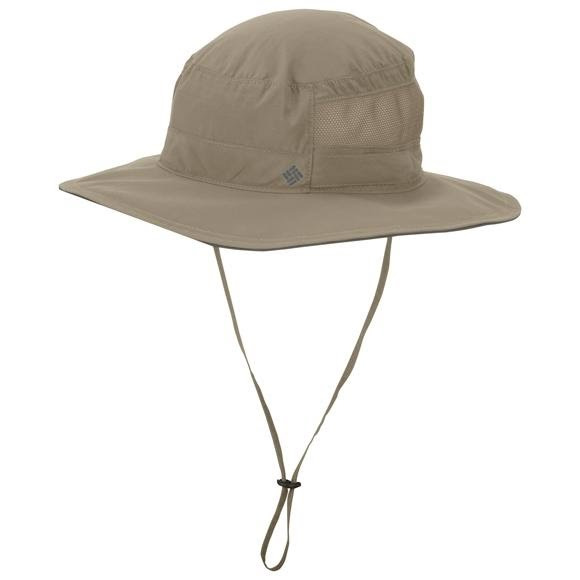 Featuring UPF 50 to block out 98% of harmful UVA and UVB rays and carrying the Skin Cancer Foundation's seal of recommendation, the Bora Bora Booney is definitely more than your average fishing hat. You don&apos;t have to be reeling &apos;em in in Columbia&apos;s Bora Bora to enjoy the benefits of this ultra-breathable Omni-Shade hat - but no complaints if you are, right? Featuring UPF 50 to block out 98% of harmful UVA and UVB rays and carrying the Skin Cancer Foundation&apos;s seal of recommendation, the Bora Bora Booney is definitely more than your average fishing hat. An Omni-Wick sweatband combines with a mesh vent panel (which is non UPF) to keep you cool and the sweat from dripping in your eyes. Quick-dry properties mean that even if this hat takes a dunk with you, it&apos;ll be dry in no time. An adjustable toggle customizes the hat&apos;s fit to your head. An adjustable chinstrap adds further security. Omni-Wick is moisture-management technology for the outdoors. It moves moisture away from the body and enables perspiration to evaporate quickly. Omni-Shade clothing protects you by blocking the majority of the sun&apos;s harmful rays so you can stay out longer. It&apos;s like sunscreen, but you don&apos;t have to re-apply. Your safety increases as the Ultraviolet Protection Factor (UPF) increases.